A bad idea from the start. And UK farmer Derek Gow confirmed that suspicion the hard way, as his Hitler-era Heck cows proved so aggressive that he ended up sending more than half of them to the sausage factory. The ill-conceived venture began back in 2009, when Gow imported a dozen of the so-called Nazi cows from Belgium, a strain of cattle stepping hoof onto British soil for the first time in 200 years. At the time Gow dubbed the move part of his larger conservation efforts to protect disappearing species (he also lends shelter to beavers, polecats, and voles). “They look like cave paintings of Lascaux and Altamira. It makes you think of the light of a tallow lamp and these huge bulls on these cave paintings leaping out at you from darkened walls.” Gow admiringly told the Telegraph at the time. But that’s hardly all that the cattle evoke. This particular breed dates back to the 1920s, when German zoologists and brothers Heinz and Lutz Heck, recruited by the Nazis, began a program to resurrect extinct wild species by cross-breeding various domestic descendants — an effort typically referred to as “back breeding.” Among their success stories was the half-ton Heck cattle, a reasonable facsimile of the hearty and Herculean auroch cattle that dated back some 2 million years prior and has roamed en masse all over Germany centuries prior. The back-breeding program reflected the dual Nazi obsession with eugenics and nostalgia. 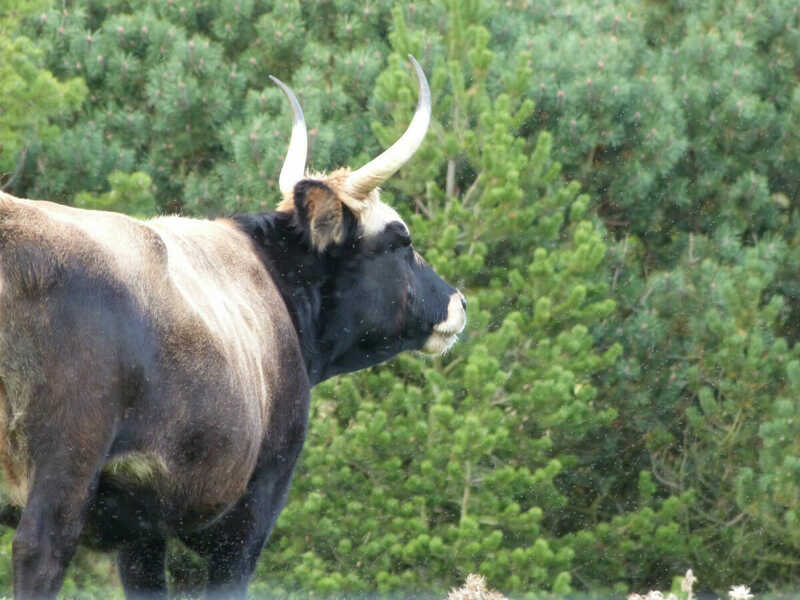 The back-breeding program reflected the dual Nazi obsession with eugenics and nostalgia; the wild ancestry of the auroch reflected a time of “biological unity” before civilization softened and “uglified” man and beast alike. And in fact, the program’s research patron, one Hermann Goring, sought to preserve biological unity not only by resurrecting extinct species, but by restoring them to their original habitats; thus his plan was to return the aurochs to the primeval BiaŠ‚owieŠ¼a forest. Is anyone really surprised that the cows turned out to be murderously dangerous? “The ones we had to get rid of would just attack you any chance they could. They would try to kill anyone. Dealing with that was not fun at all. They are by far and away the most aggressive animals I have ever worked with,” Gow told the Independent. So off to the abattoir they went, transformed into sausages that Gow deemed venison-like and “very tasty” — so much so , in fact, that he is now considering raising the cattle for meat.